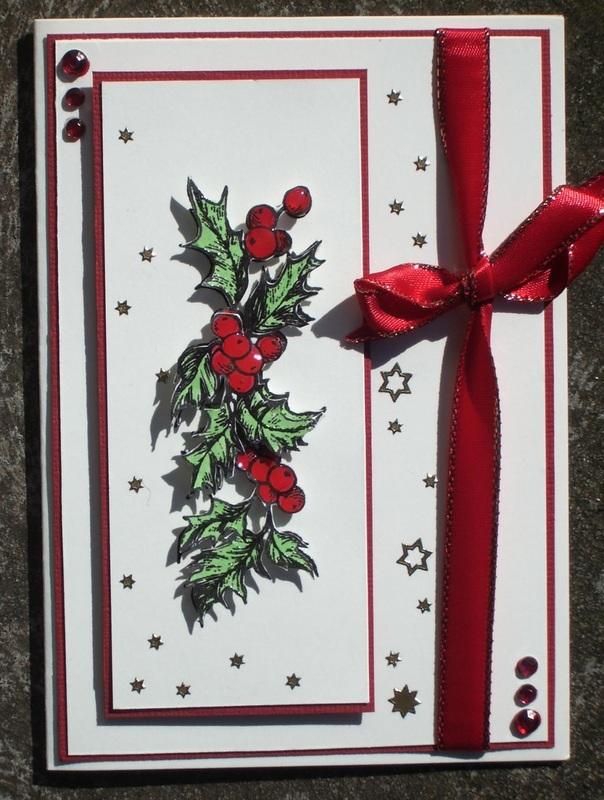 This is the third in my series of quick and easy cards to put together for xmas. This is a layered card. A little time consuming in that there is a bit of cutting out to do…other than that it is easy enough. The holly is in three layers, and coloured with copics…with some dimensional magic on the berries for lushness. On one of the cards I distress inked the edges with barn door and it looked quite effective…and took away a little of the whiteness. But that is personal preference. For quick and easy it is a stunning card Dot. Love everything about it. Fantastic colors and great 3 D effect.